You wake up. It is dark. You hear a dripping sound. What do you do? For all the great things that Slack can do to help boost your work productivity and communication, it can also help boost your ability to mess around and play games with friends. That’s right, Slack is a great way to play text-based role-playing games with your friends. The reasons why Slack is a wonderful environment for these games is that it’s a flexible and customizable instant messaging service. The first thing that we discussed when organizing this text based RP game was how we’d differentiate between character speech, `actions`, and thoughts. This provided everyone with quick visual feedback and avoided most misunderstandings. We eventually decided that all Game Master input should be italicized as well to convey that players were experiencing the narration rather than it being dictated to their characters. 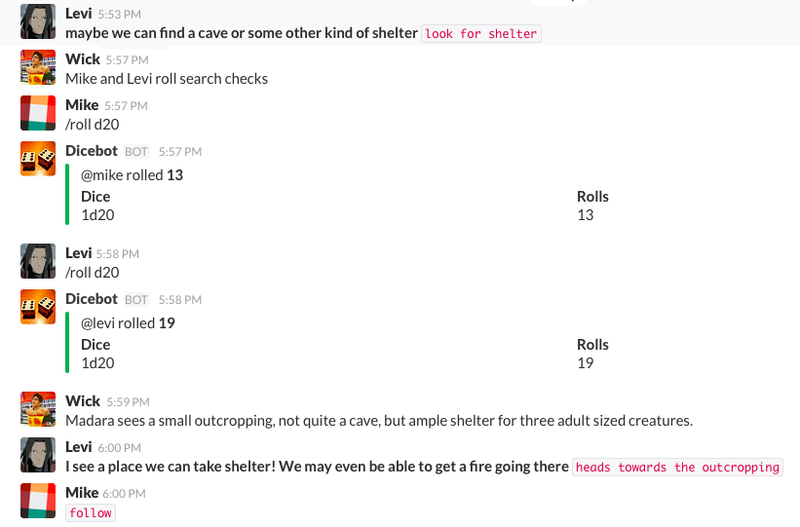 Slack’s awesome API also gives us quick dice rolls. Instead of programming SlackBot responses, we’re using this Dicebot. 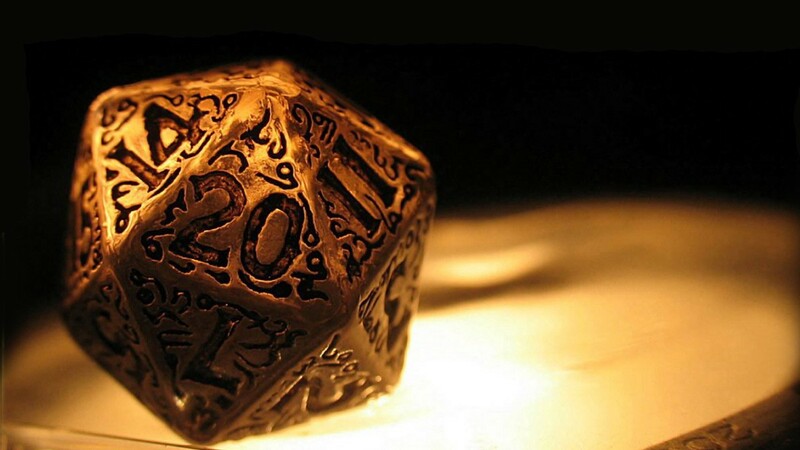 It can do common rolls like 1d20 and also ridiculous ones such as 200d2000. It even color codes rolls for a quick review of player skill checks. My players have boasted over and over again about how the separate channels and the truly limited knowledge has made their games more immersive. 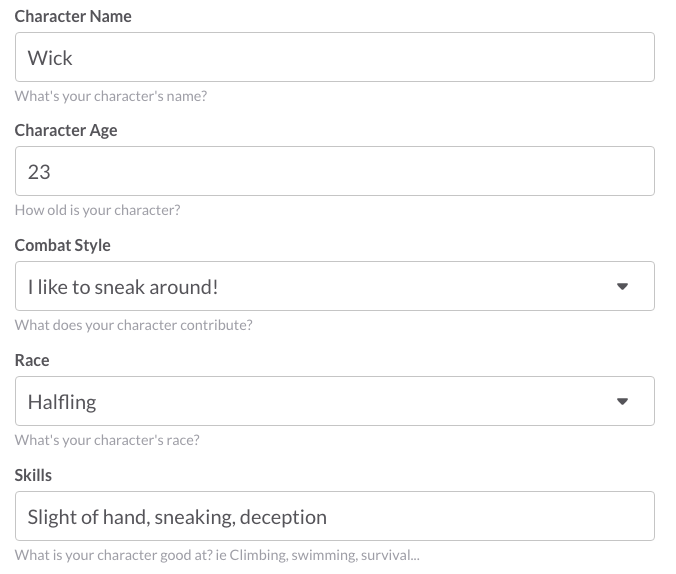 Slack’s ability to group people together, quickly format text, and great API gives gamers a great place for some light roleplaying. So go forth! Explore ancient ruins, usurp corrupt empires, be a hero! Have an epic roleplaying story? Share it with me below! Want to find out what happened to Madara, Jameson, and Coal in their adventures through Kratona? Stay tuned and follow! Customer Support Rep @ Temple Coffee Roasters. In love with design, coffee, and Sacramento.